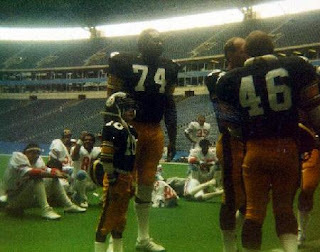 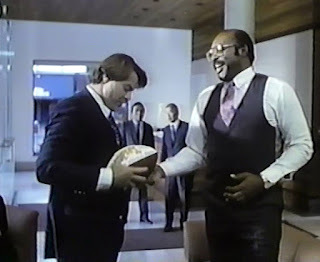 Dallas Cowboys Defensive End Harvey Martin made his debut in film in The Steeler and the Pittsburgh Kid (TV Movie) as Steeler, yes Steeler defensive star "Monster Man"
Technically, though Martin appeared as himself in Black Sunday, a thriller starring Robert Shaw. 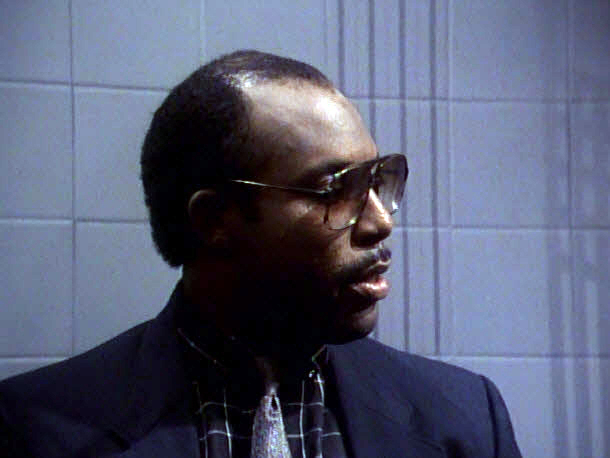 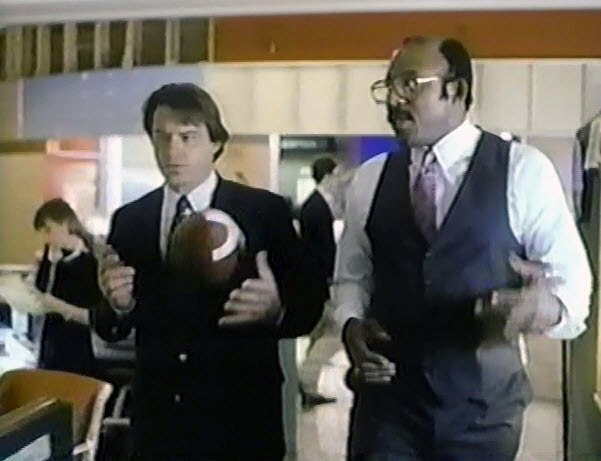 In 1987's Amazing Grace and Chuck, he played "Mad Dog" one of the pro athletes who went on strike to try and get an elimination in nuclear weapons. A couple year later he was in No Safe Haven as football player Harvey Latham, a role in which he had no lines. 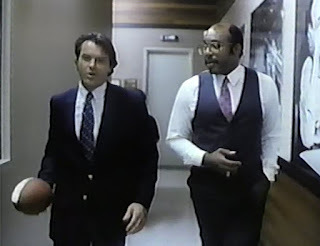 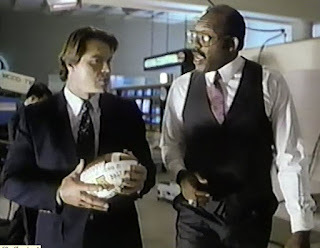 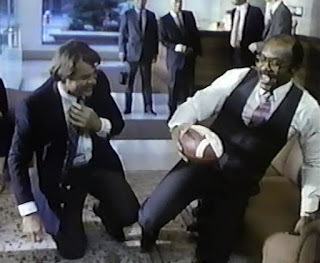 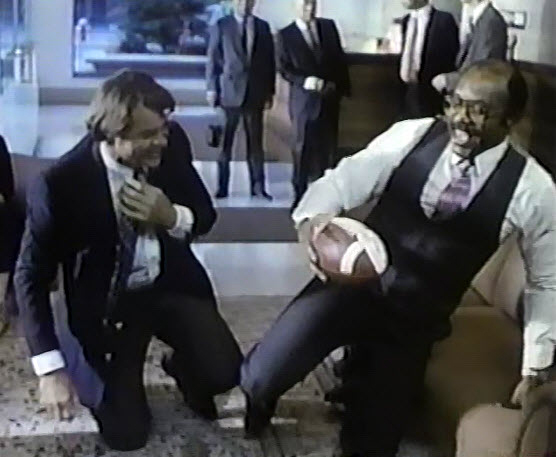 His best work, in our view, was as a retired offensive lineman turned television executive who tried to teach his teammate, played by Robert Urich, the ropes in how to transition from the NFL to broadcasting. 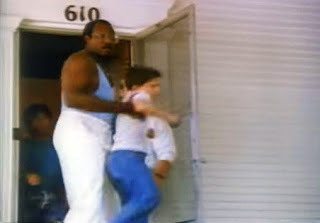 Urich's character had an affair with his college-aged son's girlfriend instead. 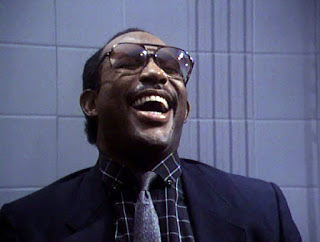 The film was The Comeback (TV Movie) and Martin's Character was Eddie Radish.